necessary for dermatologists to achieve their financial goals, while supporting the commitment to continually improve the total patient experience. Integrity We establish trust in all of our relationships through honesty, transparency and candor. We focus first on caring for our patients with respect and empathy in all interactions. We deliver innovative solutions to our patients’ challenges by investing in skilled providers and through the use of technology and techniques that are at the forefront of our industry. 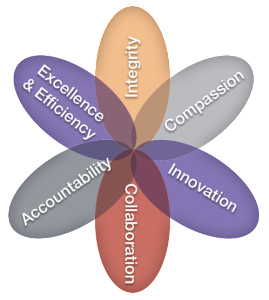 We work together as one team to identify our patients’ needs, sharing a network of knowledge and maintaining a culture of operating excellence. We are responsible for our actions and accountable for our results. We are committed to providing an exceptional patient experience by delivering excellent services and products at fair and reasonable costs.